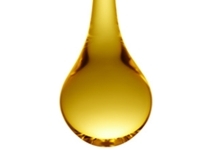 Home » Heart Health » Cholesterol » Can Vegetable Oils Help Lower Cholesterol? Can Vegetable Oils Help Lower Cholesterol? Vegetable cooking oils have been championed for their beneficial effects. These oils, such as canola, olive, or safflower, are said to be foods that lower cholesterol, helping to reduce the risk for heart disease. This is in contrast to saturated fats like butter or lard which can raise cholesterol levels to dangerous heights. Now, new evidence is surfacing that not all vegetable oils are the same in terms of triggering lower cholesterol. Australian researchers looked at data from the Sydney Heart Study and found some surprising results. The Sydney Heart Study involved 458 men between the ages of 30 and 59. All had a history of cardiovascular disease for more than three years. The research team randomly divided the men into two groups. One group was told to use safflower oil or polyunsaturated margarine made from safflower oil as their main source of fat. Safflower oil contains omega-6 fatty acids. The researchers found that this group subsequently showed an increased risk of death due to coronary heart disease, cardiovascular disease and all other causes as well. So what happened? The safflower oil was still one of the foods that lower cholesterol levels to a significant degree, but the researchers think the added omega-6 fatty acids boosted levels of oxidation and inflammation in the arteries of the men. It’s no longer wise to think that all polyunsaturated oils will have the same beneficial effect. This goes against recent regulations in Canada that allow vegetable oil manufacturers to use labels on their products that say replacing saturated fats with unsaturated fats (including those containing omega-6 fatty acids) helps lower cholesterol. The researchers of the study think that claims like this need to be re-evaluated, given the potential for safflower oil to negatively impact the heart. In exchange, bump up your consumption of omega-3 oils such as canola and flaxseed. This approach, in which your consumption of omega-3 oils is higher than your omega-6 consumption, is precisely the recommended approach in the U.K. and France. Olive oil is in a separate category from the omega-3 and omega-6 oils. It is comprised of about 85% oleic acid. Oleic acid is an omega-9 fatty acid. Olive oil has been shown to lower the risk for heart disease and should be considered, along with the omega-3 oils, as one of the foods that lower cholesterol. “Heart-healthy oil claims reconsidered,” CBC News web site, Feb. 10, 2013; http://www.cbc.ca/news/health/heart-healthy-oil-claims-reconsidered-1.1377167, last accessed Nov. 7, 3013. Park, A., “Omega-6 Fats Linked to Increased Risk of Heart Disease,” TIME: Health & Family web site, Feb. 6, 2013; http://healthland.time.com/2013/02/06/omega-6-fats-linked-to-increased-risk-of-heart-disease/, last accessed Nov. 5, 2013.